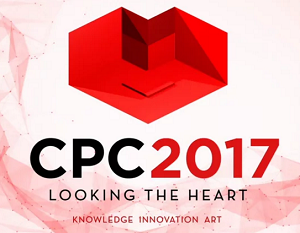 The Portuguese Congress of Cardiology (CPC) 2017 is already in preparation. Under the motto "Look at the Heart: Knowledge, Innovation and Art", the 38th edition of our congress will continue to represent the moment of reference for updating knowledge, providing a wide forum for discussion of cardiovascular problems that concern all professionals with involvement In this important area of ​​medicine. Once again, we aim at a multidisciplinary approach based on a scientific program of excellence with a larger number of participants, which will help to make this congress one of the country's greatest scientific events, opening the way to new projects in the community of cardiologists and other specialists, Clinical practice and research seek to strengthen knowledge by introducing more innovation in the prevention, diagnosis and treatment of cardiovascular problems. All the development civilization has witnessed in medicine comes from the restless spirit of many who, in the continuous search for knowledge and enriching knowledge, had the initiative and audacity to innovate. We almost always talk about new technologies applied to Medicine, though often with art in the creative way of exploiting inventions. Perhaps for this reason we find in physicians the frequent need to connect with art in the strictly musical, literary, painting and other forms of artistic manifestation. Our work is thus filled with knowledge, innovation and art. CPC 2017 will take place in the Palace of Congresses of the Algarve, in the Herdade dos Salgados (one of the largest in the Iberian Peninsula), and will take place between 22 and 25 April, with a full day of pre-congress courses on April 21. We count on the intense participation of all those who share cardiovascular medicine in clinical practice or in their activity as researchers.